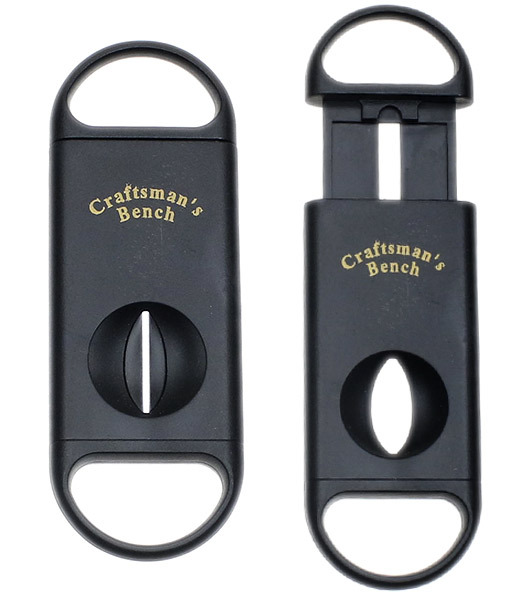 The Craftsman's Bench V-Cutter offers a cigar cut that goes deeper into the filler than a standard straight cut, allowing for a more even flow of smoke without destroying the cap. Designed to allow equal pressure to be applied to both sides of the cigar. The V-Cutter blade is made of durable stainless steel and ensures a clean smooth cut that is never too deep. Accommodates up to a 60 ring cigar.